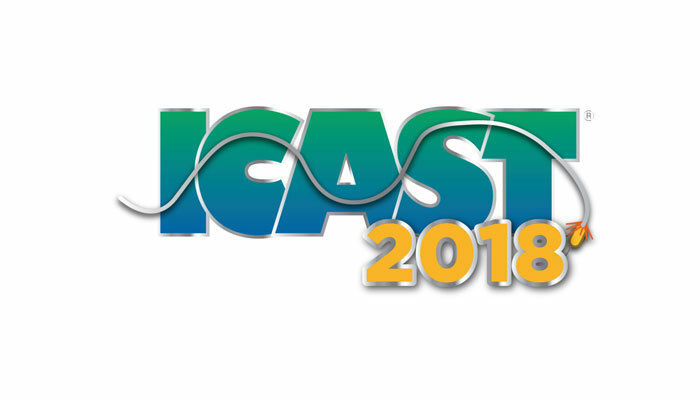 ICAST 2018 is in the books and new products, as well as new revisions were in full force. Some companies seemingly came out of nowhere while other mainstays continued their winning ways. Below you’ll find a lot of the things I really liked at the show. More in depths write-ups are in the works but I wanted to get you some quick pictures and thoughts on why I stopped to take a picture and learn more about these products. 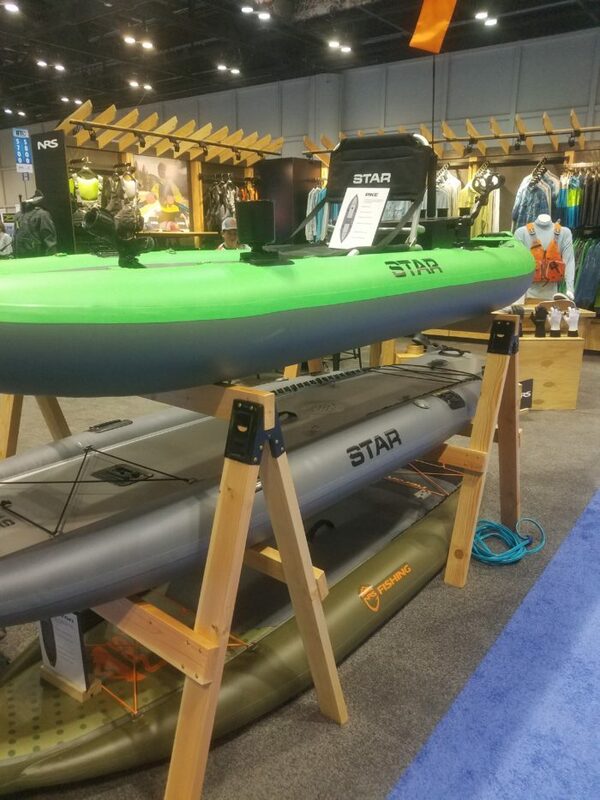 First on the list is one of two Yak-Power products that is coming out late this year. This is a picture of the new switching app for the new 8 channel unit. Instead of needing a switch installed, you can just use your phone. It’s iOS and Android capable which makes it work for just about anyone. 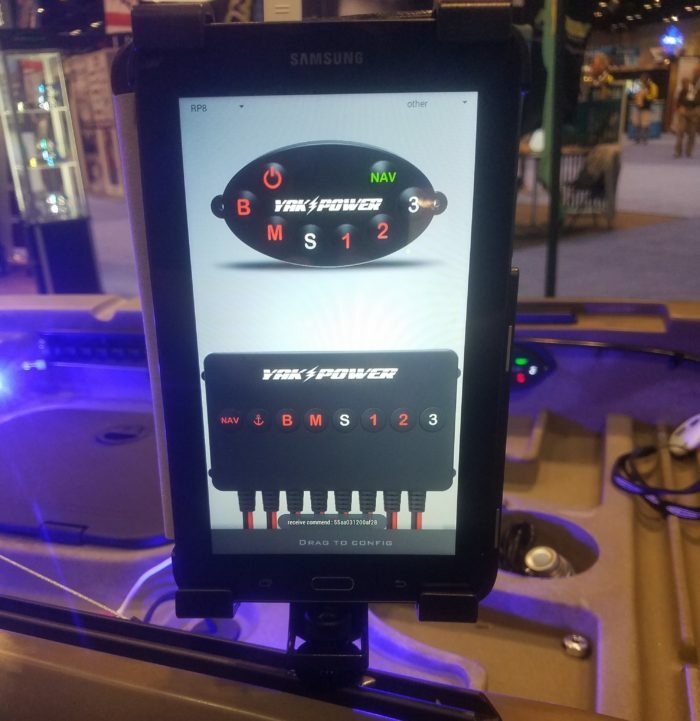 It’s also important to note that all Yak-Power products are backward compatible so if you installed the new box, you can run all your lights, electronics, and other gear you have hooked up from your phone without having to buy all new accessories. The second item from Yak-Power is this modular, switched, 360 degree light that comes with a USB action camera charging base included. 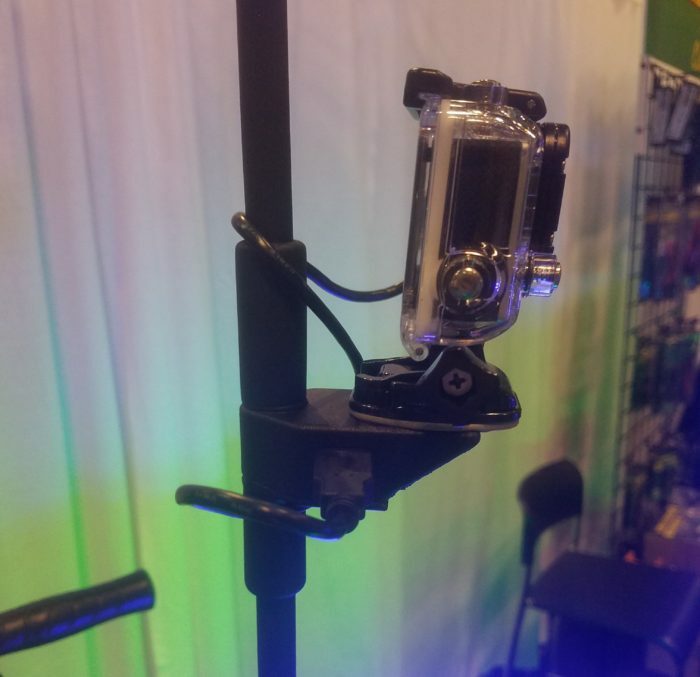 You can change the arrangement of the different sections of the pole to make your camera or light higher or lower along the pole and it’s all working off of a switch. No longer do you need to crawl to the back of your kayak or paddle to the bank o turn your lights on or off. It’ll also be nice to not have to mess with bulky battery packs all day for camera power. 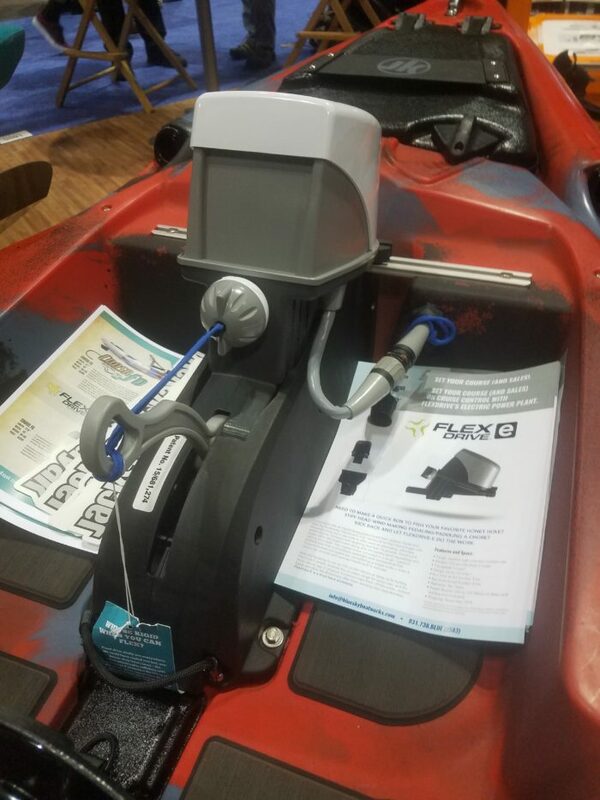 Jackson Kayak showed us the new E-Drive at ICAST 2018. 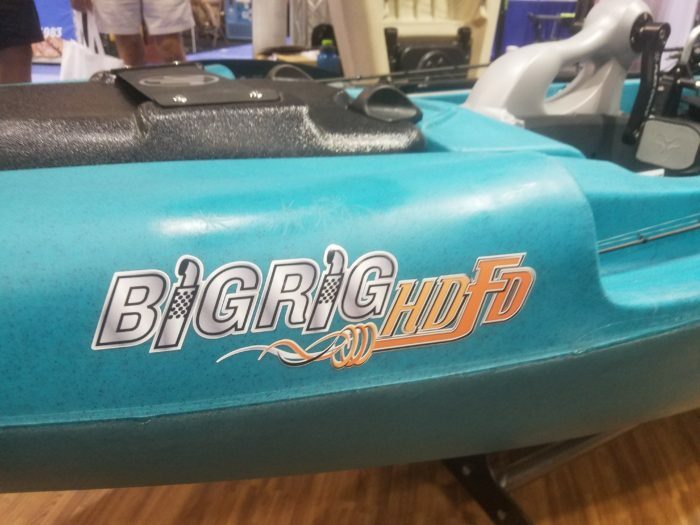 Dropping in where the FD goes, this will add a long-range option to those Jackson FD owners and another option for looking at when trying to decide on a motorized kayak. 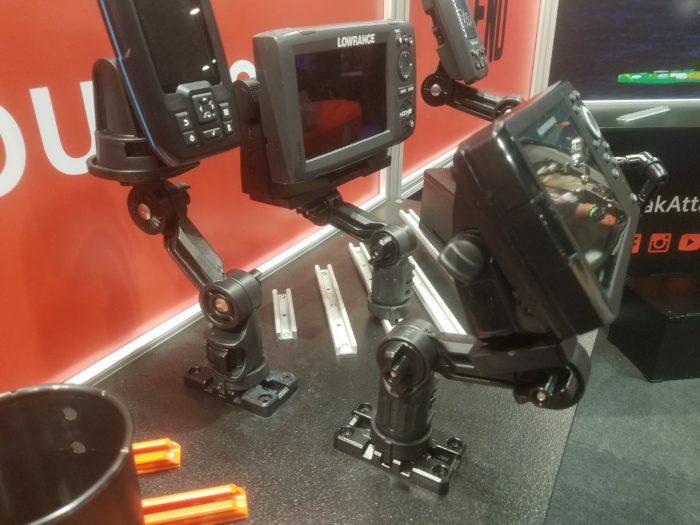 The first of two new companies offering electronics mounts, this is the new fishfinder mount from Railblaza. YakAttack also brought a new electronics mount to the party. 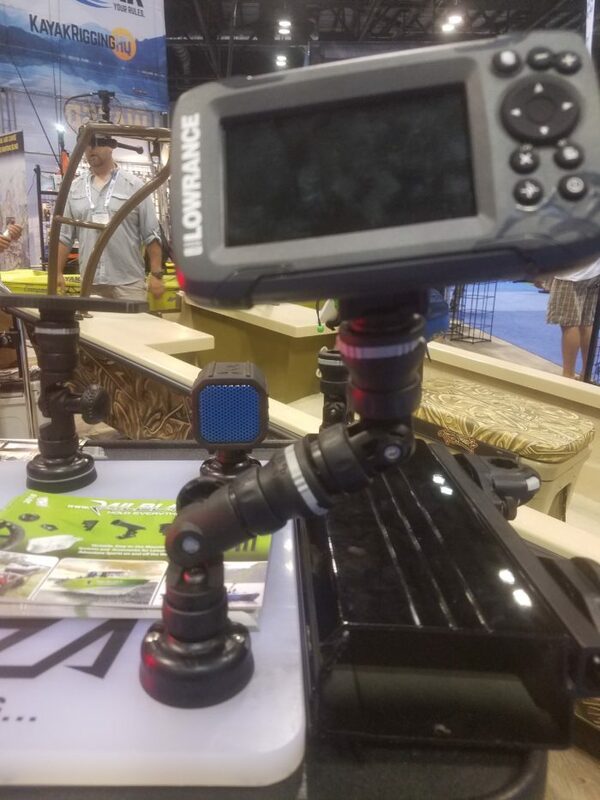 This new Omega style fishfinder mount will have options for almost all your brands and sizes. If you are a bay flats kind of angler, this may get you a little excited. This is the Skanu from East Cape. It’s a poling skiff that is built in the size and weight of a kayak. 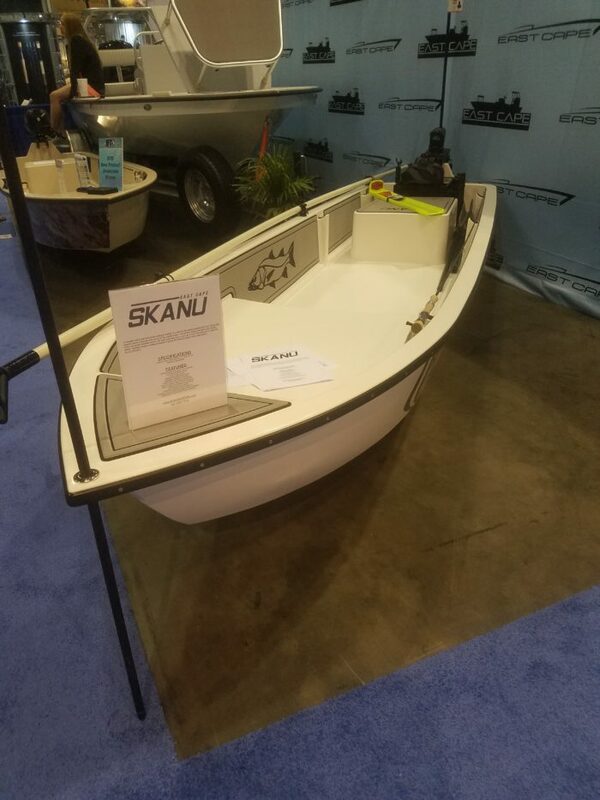 At 12’6″ it weighs as little as 80 pounds depending on rigging, has a casting deck, electronics dashboard, poling platform, and is ready to go for an engine, crate, whatever you need. They come in at $3600. Lots more on the Skanu later this week. Need an inflatable paddleboard or kayak for a trip that you have to fly into? NRS has you covered with their STAR line of inflatables. Lightweight, packable, and airline compliant. That bad boy on top comes ready with four of the new YakAttack Switch Plates which I’ll show you later. Jackson reworked their well known Big Rig. Not only did they put it into an HD styling with lots of cool options but they also Made it in an FD. Pedals on a super stable platform? Yep. I dig some of the layout changes on this one too. 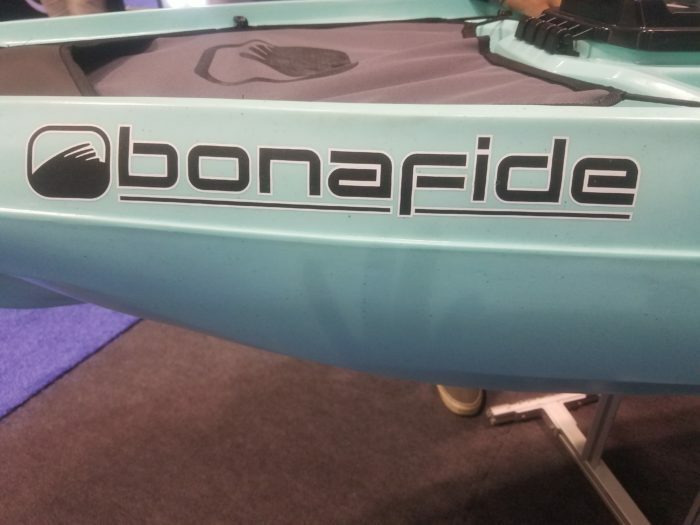 Only a week before ICAST 2018 Bonafide announced they’d be showing the new RS117, a $999 priced option. This is by far the best seat on a sub $1K boat and the layout is pretty slick including a paddle park built into the front well cover which is NOT the typical mesh offering. It’s closer to the material used in submersible bags like the YETI Panga. I also like the new colorway for the RS117, Easy Rider Aqua, seen above. For the duck and deer hunters out there, this new Woodsman Edition Bonafide SS127 may catch your fancy. 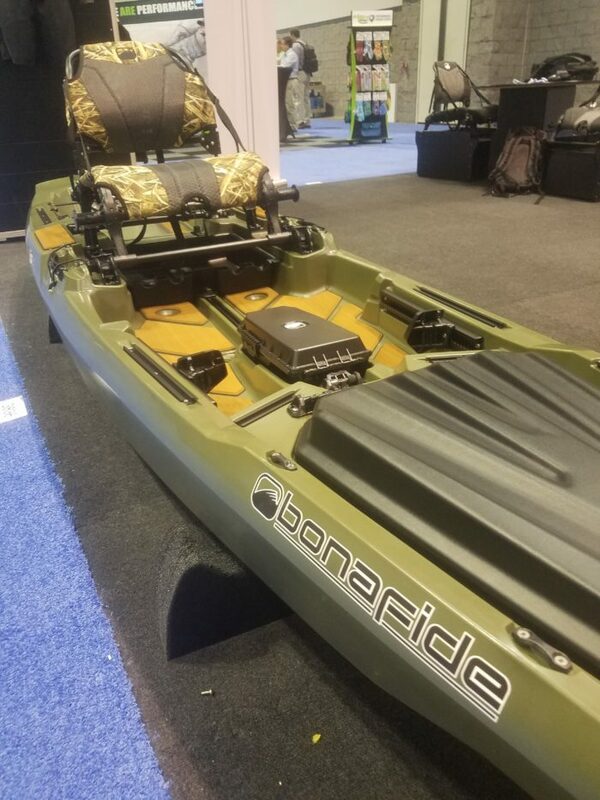 That OD green, camo reed pattern and wood look deck matting will keep you pretty stealth in the backwaters. Add a little bit of orange bungee to it and you’re set! 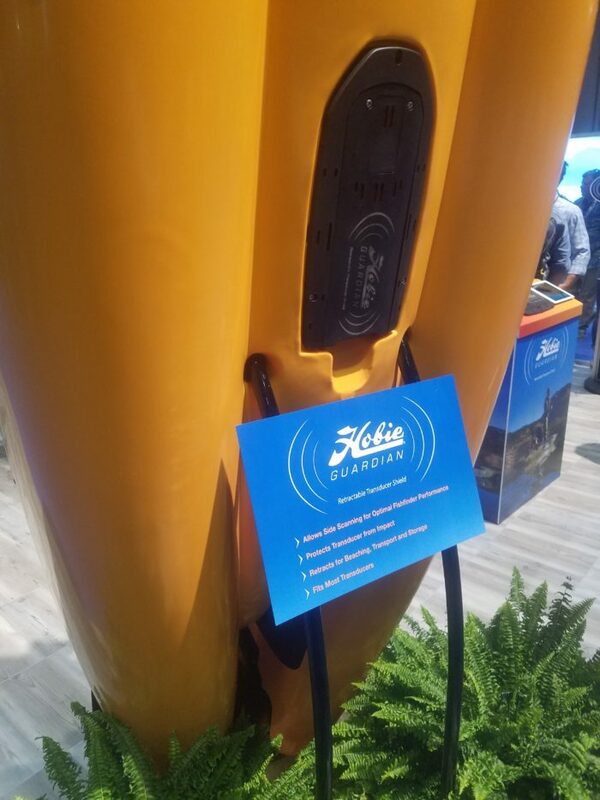 The 2019 Hobie Pro Angler will include the new Hobie Guardian. It’s a transduscer shield that is deployable and also has a built-in retraction to prevent hang-ups. Let the bungees push the transducer back in or use the included lever to pull it up for launch or landings. 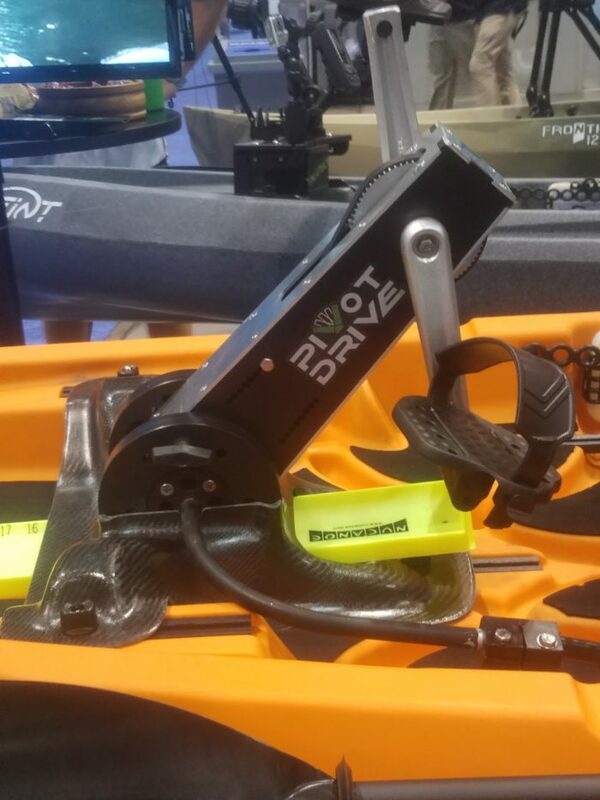 The fit and finish on the NuCanoe Pivot Drive have improved a lot over the last year from the H2ProPed drive. Molded coverings, a reworked deployment/rudder mechanism, and just the overall look is a big leap. Look for a lot more Pivot Drives on the market after the release date. 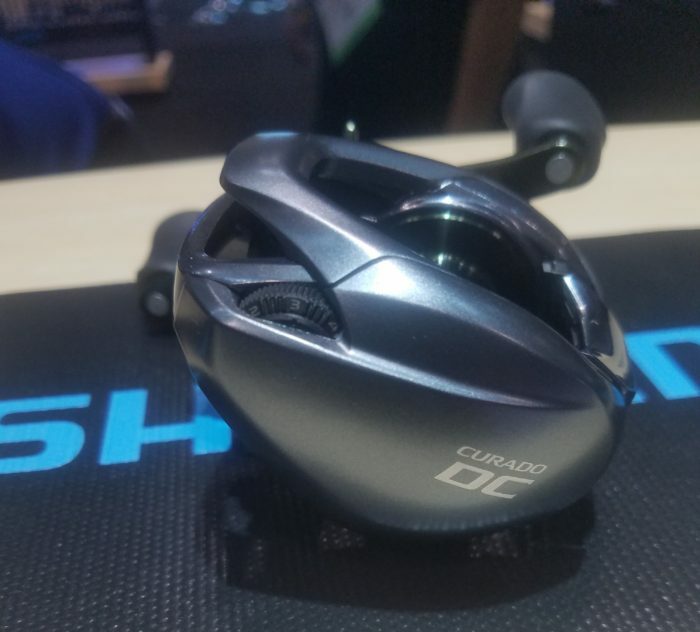 The award-winning Shimano Curado DC. I got a chance to get about an hour of time with the CDC and it’s legit. I’ll have a lot more coverage in the next couple of weeks on it including a full review. 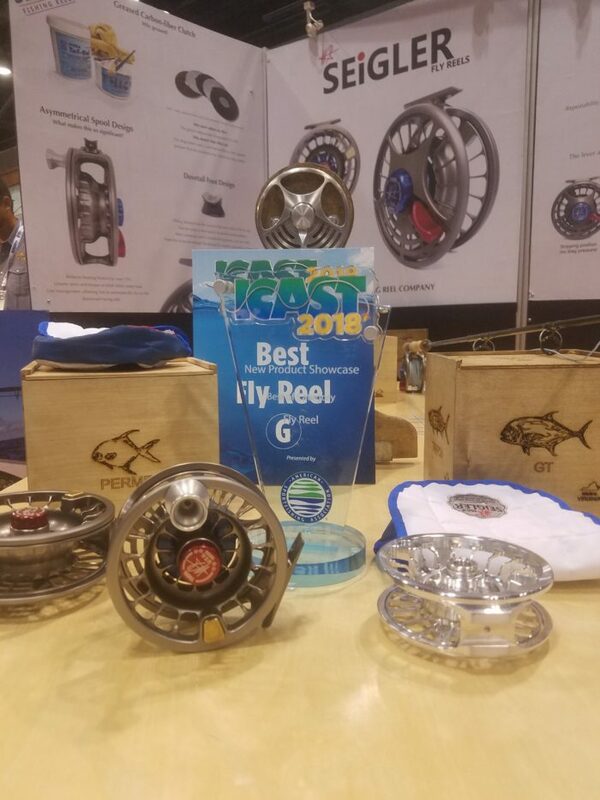 The Seigler MF Fly reel was a new foray into the fly market for Seigler and they made a big splash. You would think that they’d been making fly gear for years. 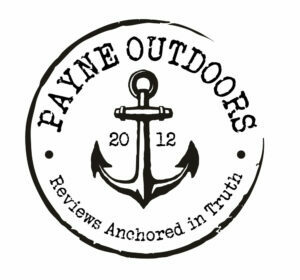 A great edition to the reel choices for fly anglers. 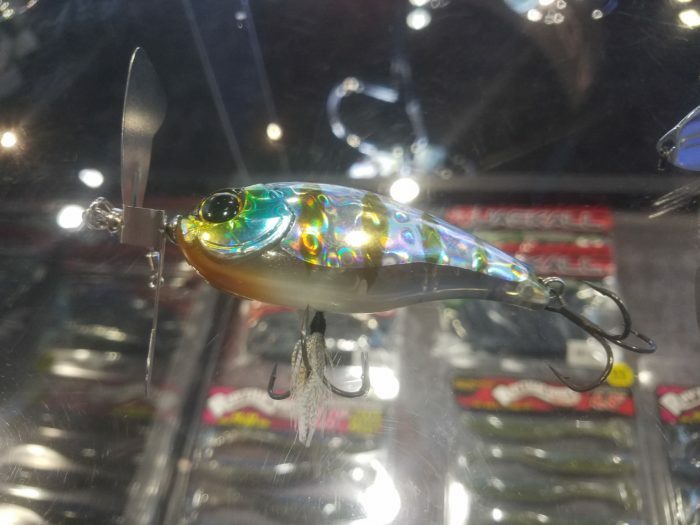 The Jackall Chop Cut has a pretty mean prop on its front coupled with a wire tie connection and a larger profile than a lot of other prop baits on the market. 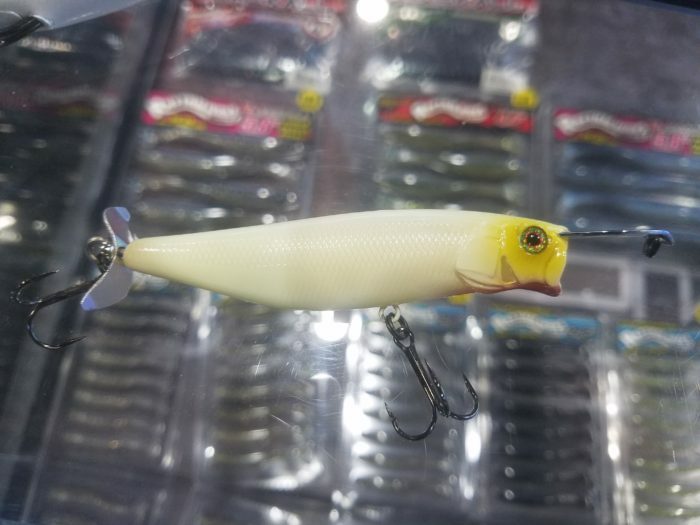 The Jackall Riser (available in 7 and 9) is a weird freaking bait. It has a tail prop and that top loaded lip makes it jump out of the water when retrieved and jerked. Looking forward to trying this one simply to see if I can make it jump. I covered the release of the Hollow Body Craw from LIVETARGET not long ago. I saw it in person and it’s ridiculous. The hollow body is pretty soft so I don’t expect quick drops from fish because it feels too unnatural. The color options are a bit mindnumbing though. 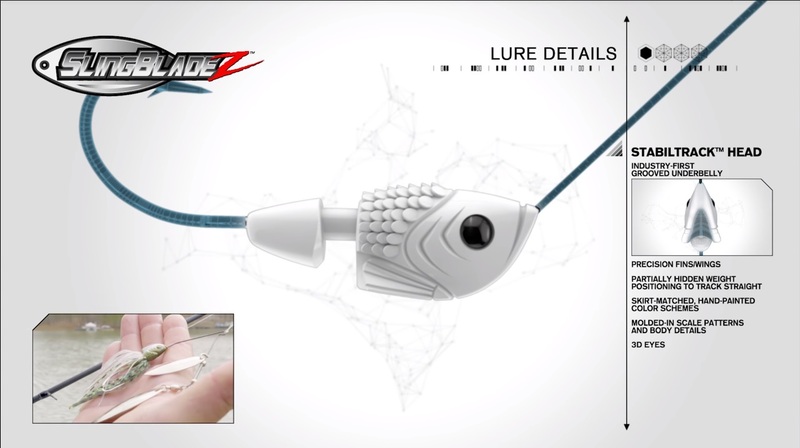 The SlingBladeZ spinnerbait from Z-Man is everything it advertises. The detail is remarkable and the weights and blades options should find a fit for a lot of different situations. 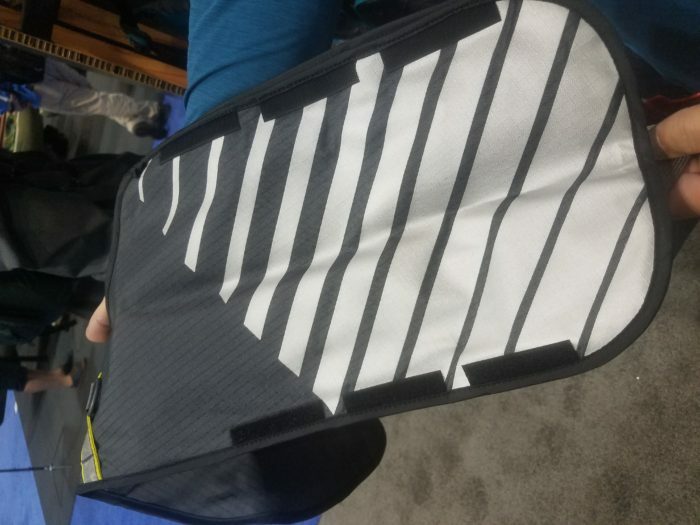 NRS upped their PFD game at ICAST 2018. The Raku is a new thin backed PFD that is vented. For all those who avoided some of the other fishing PFDs from NRS because of the high pillow back cushion, here is your newest option. The second PFD addition from NRS that is a long sought-after addition is the manual and auto-inflatable PFDs. 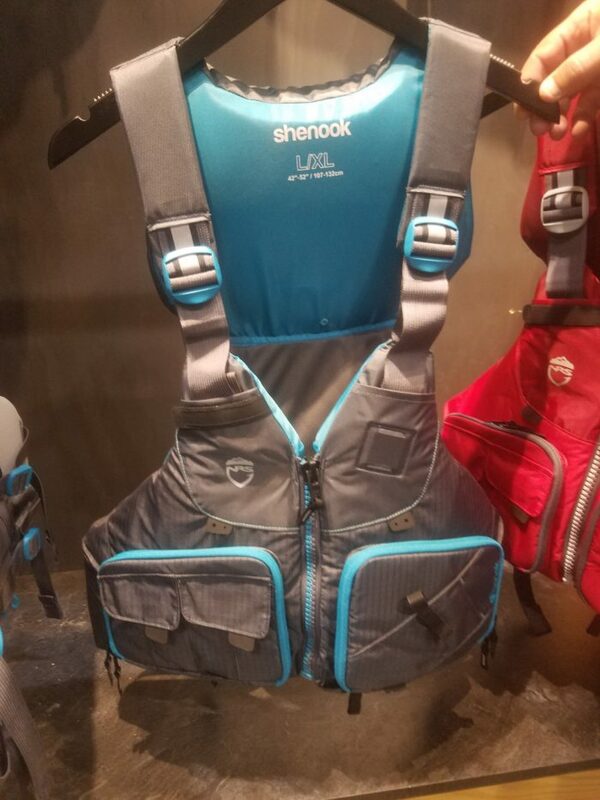 When the PFD inflates, it doesn’t bust a zipped or bladder. It inflates the covering. What this means is it’s much lighter and less bulky than other options. I love the reflective striping on the interior so if you need to be found or seen, it’s much easier. Hey ladies! NRS added the Shenook to their lineup this year. With molding and foam sheets that fit the contours of your torso better than traditional PFDs with all the features of the Chinook built in, NRS understands female anglers want all the options the guys have been getting for years but with a better fit for them. This is it! 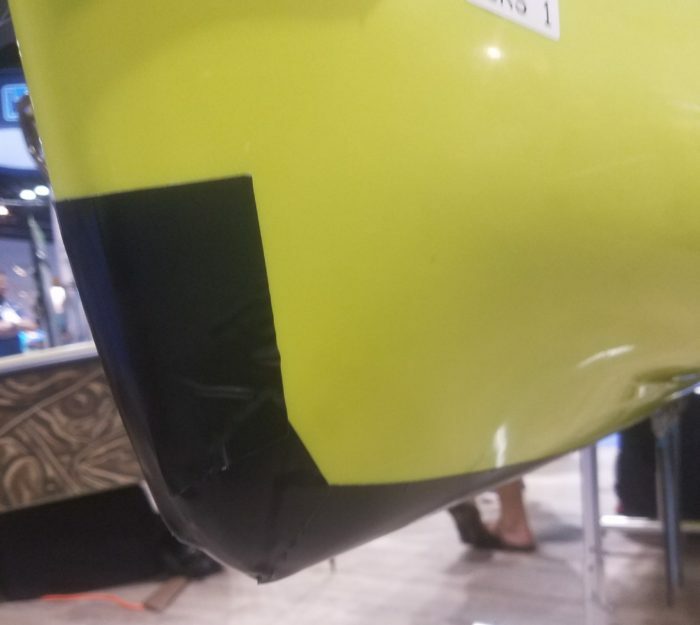 Yak Gear is launching a new keel protection product on the market that is said to solve a lot of the problems with other products. No more oven mitt installs or the stick and replace options. Excited to see this after a month or two of abuse. Of all the new gear that YakAttack is coming out with this year, the Switch may be my favorite. 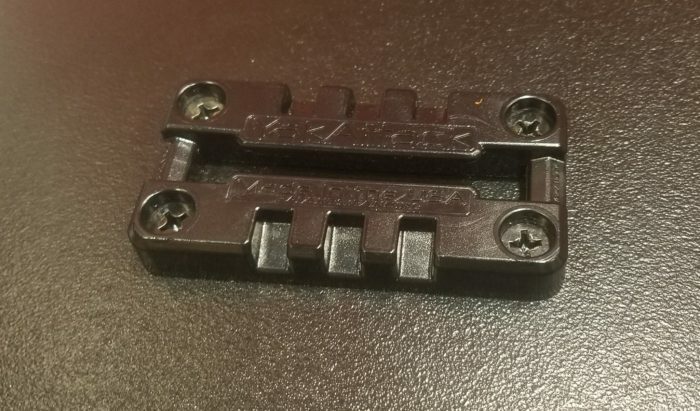 You know all those four screw, bulky block rod holder bases that exist on the market and come standard on a ton of entry-level kayaks? Yeah, the Switch replaces that and the holes line up perfectly so no new screw holes. That ugly block just became a track in the most aesthetic and noninvasive way possible. Now almost everyone can use rail mounted accessories without major cutting, drilling, or replacements. 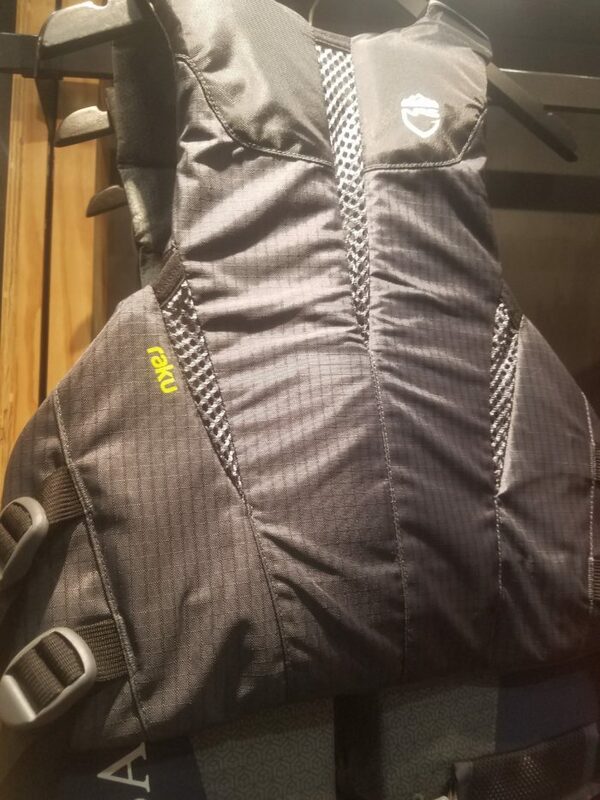 The YETI Panga 28 Backpack is a really cool option for waterproof backpack options. 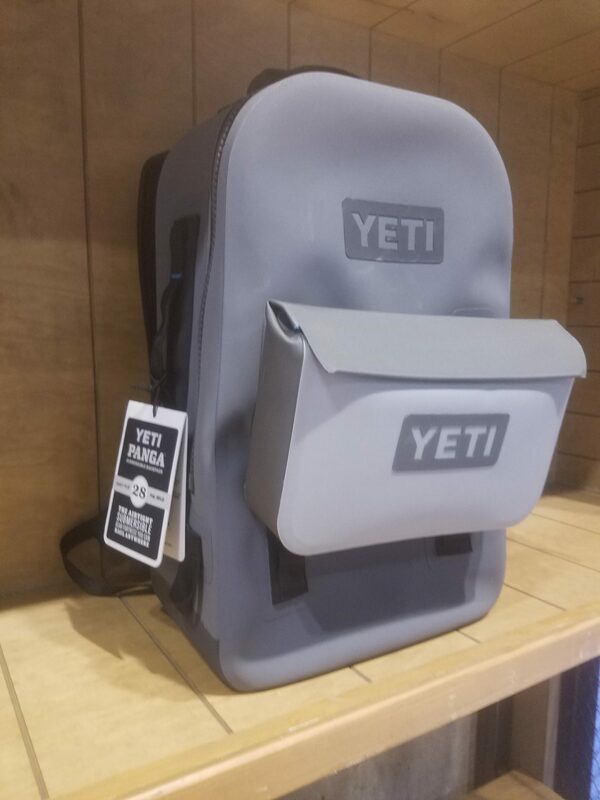 This is a new offering from YETI and I expect will be pretty popular with harsh environment fishing and a pretty decent option for bank stompers who fight their way through brambles, limbs, and wet wade. I couldn’t possibly list all the cool stuff I saw but this is a good overview. Look for reviews, walkthroughs and more in the coming weeks.